Commercial curtains provide many benefits rather than just enhancing the overall look of your workplace. There is a great need of installing commercial curtains to maintain a balanced temperature in the room and it will save a lot of money for your business as if the air conditioner is on then it will prevent the cold air to go outside and it results in saving of energy costs. Installation of commercial curtains helps in important improvements in such commercial space and it brings immense benefits to the business as well. One of the commonly used commercial curtains is – air curtains. Though, before you decide to install air curtains you should make a deep analysis of your premise. But first, let’s understand what air curtains are and what are their benefits to the commercial space or business? 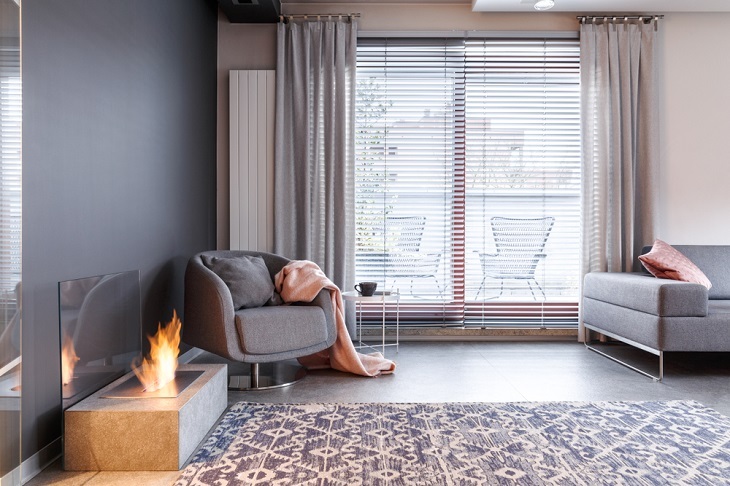 Air curtains are fan and heater powered curtains that help in creating an invisible air barrier over the doorway to separate the two different areas without limiting the access. They are self-sufficient and they have the capability to reduce the electricity bills drastically. They function with the help of a high-velocity jet. This jet is placed on the top and it divides the warm and cold area into two thermal zones. They are also laced with heaters. This helps in maintaining the comfortable warm or cold temperature within the premise. With the help of these curtains, a lot of money is saved on power. They are mostly installed horizontally diagonally on the top of the opening. Air is excluded from top to bottom of the door in this situation. You can also install them vertically on both sides of the door. Horizontal installation is more effective and at the same time, it is more expensive to install. Hence it is used only in specific places. Mainly there are two types of air curtains recirculation and non-recalculating. They guarantee comfort to the customers as well as the staff because they help in maintaining optimal climate inside the premise all around the year. They improve the thermal condition of the premises and this results in energy saving. Your power bills are hence reduced. They act as a barrier to fire fume. They increase the security at the time of the fire and facilitate the evacuation through the door in case of any kind of emergency. Because the physical door is not preset it becomes easy for people to enter who are coming with strollers or if they are disabled and using wheelchairs as they get sufficient area to enter. They enable to let the door of the business are opened, inviting the customers to enter and so increasing people arrival and increase in the potential sales. They act as an invisible barrier against dust, pollution, suspended particulates, fumes, and bad smells and help in keeping the environment clean and maintained. They prevent insects from entering the building. They increase the useful entrance space as there is no need for the lobby. They provide adequate privacy to the commercial place from outsiders. They prevent the humidity to enter the space and they also absorb the extra humidity in the area. They also prevent the air born contaminants to enter the space. They are equipped with heaters and in winters they can help in keeping the temperature warm. They provide proper ventilation to the place because you are not required to keep the doors and windows closed. These were few benefits of these commercial curtains but most important to be kept in mind here is installation. If the installation is done poorly then the whole purpose of installing them will fail and the money you invested will go waste. Therefore by the right specifications and get commercial curtains installed under the expert guidance only.